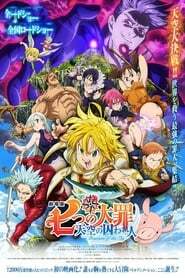 Traveling in search of the rare ingredient, âsky fishâ Meliodas and Hawk arrive at a palace that floats above the clouds. The people there are busy preparing a ceremony, meant to protect their home from a ferocious beast that awakens once every 3,000 years. But before the ritual is complete, the Six Knights of Blackâa Demon Clan armyâremoves the seal on the beast, threatening the lives of everyone in the Sky Palace.